Last Sunday was a day of soft light and gentle wind, and it felt as if the Earth might finally be stirring after a long sleep. A perfect day for looking at stones – well, admittedly, every day is perfect for that! 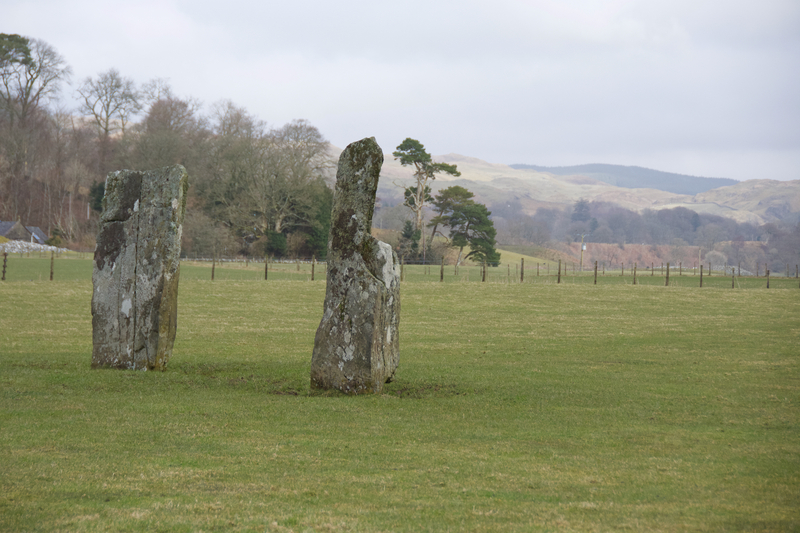 A few minutes’ drive took us south into Kilmartin Glen, where time really seems to slow down and you feel guilty if you drive through without stopping. We walked around the Nether Largie standing stones, tall and angular, with enigmatic cup marks and an interesting alignment that I’ve described before on The Hazel Tree. 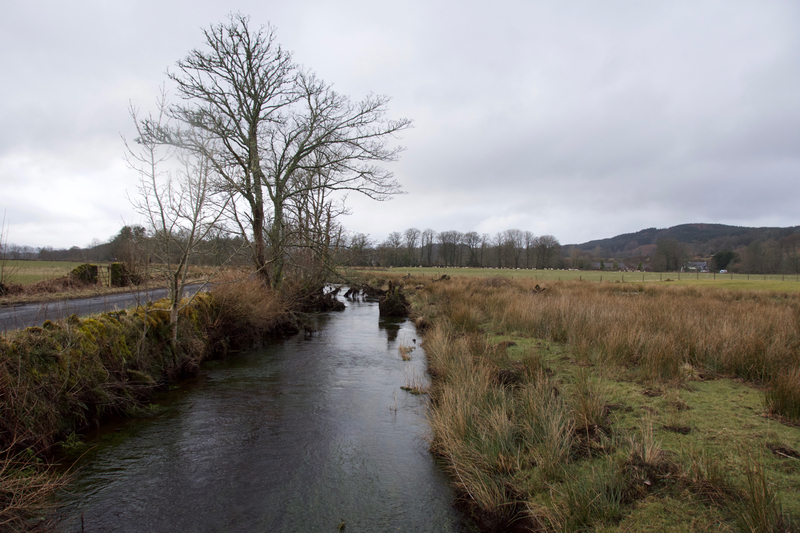 You’re never far from water here – the path to the stones crosses two bridges, one over the burn and the other over a drainage channel, and the ground is either spongy or muddy beneath your feet. 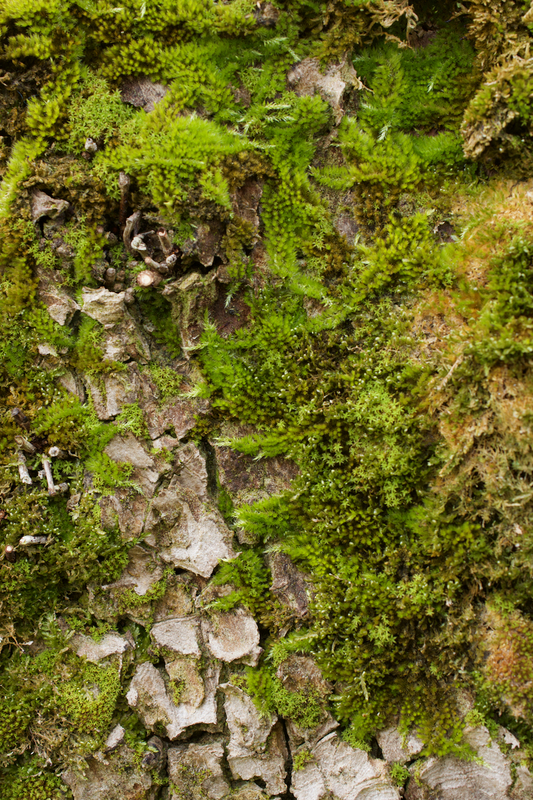 Lichens grow in tangled profusion alongside deep cushiony mosses, miniature gardens on trunk and stone. Just beyond Nether Largie is a grove of trees that surrounds another ancient site – the three stone circles of Temple Wood. While Nether Largie is exposed and open, Temple Wood feels more private and enclosed, although this is more likely to be the result of Victorian tree planting than anything else. It does, however have a feminine feel to it, a softness and stillness, especially at the heart of the main circle which has the remains of a burial cist. It feels reassuring and grounding, like a gentle flow downwards into the Earth. 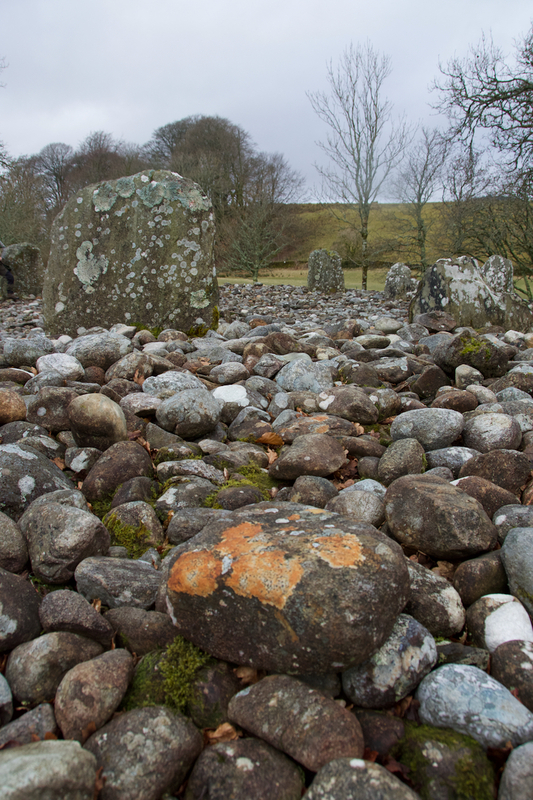 The area around each circle is heaped with cobble stones, and these are splashed with lichen in paintbox colours. 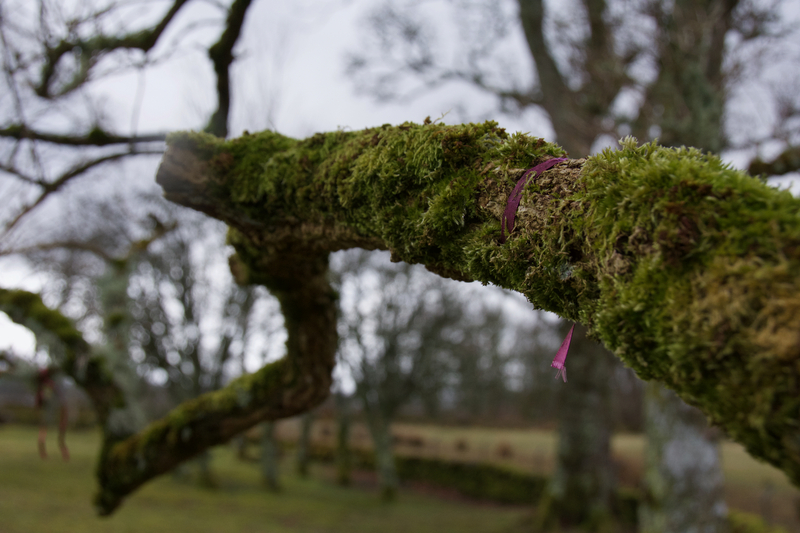 Wandering around the perimeter wall I stopped to try and identify some trees, always a challenge in winter, and in surprise I found myself gazing at branches adorned with scraps of ribbon. A clootie tree? 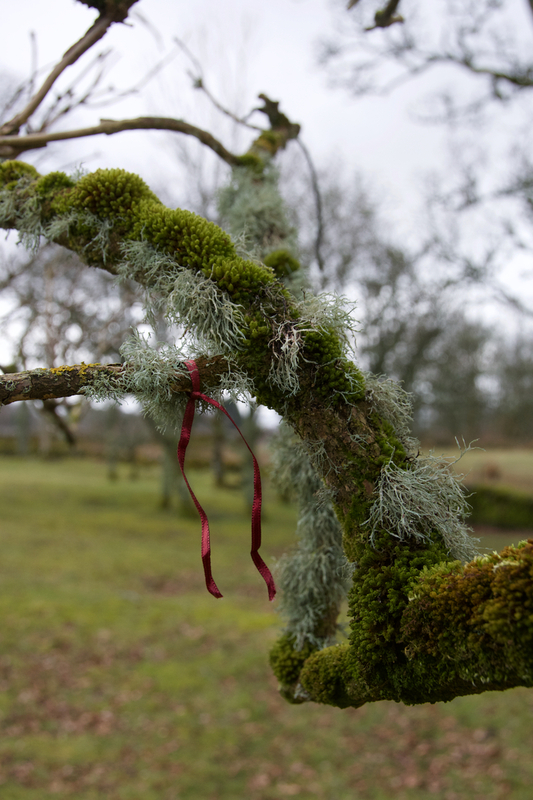 Wishes had been made on it, that’s for sure, but some time ago as moss was already growing over some of the ribbons. And what species was it? I was puzzled but Colin had no doubt. “An elder,” he said, as if he saw them all the time, and pointed to the deeply fissured bark. To prove his point, he told me to snap a fallen twig and look for the soft, pithy wood inside. An elder it was. 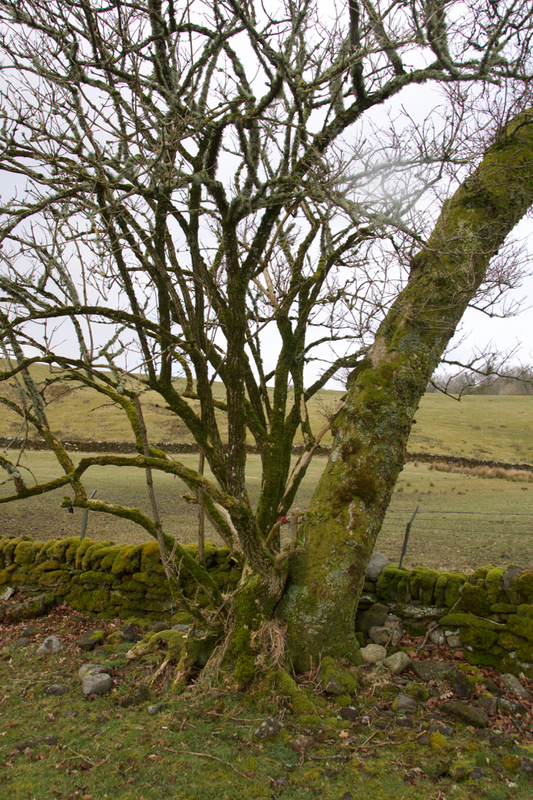 And it certainly had character, rising from the base of an oak tree which was leaning away as if afraid of the intimacy, and reaching boldly towards the stone circle with a network of gnarled limbs. I knew very little about elders, but something told me they’d have their roots immersed in folklore. Some sources believe the name is derived from ‘hylde-moer’, a matriarchal tree spirit of Scandinavian legend. This is a protective tree, and, like the rowan, if it grew next to a dwelling it was thought to prevent evil spirits from entering the house. It has plenty of medicinal properties, and of course its flowers and berries are picked to make delicious cordials and wine. Even the word ‘elder’ suggests a wise and respected veteran, a guardian of some half-forgotten wisdom. It’s hard to tell how old this particular tree is, but it has certainly held a significance for visitors in the past, and probably continues to do so. The first leaves of bluebells were emerging from the grass, promising a beautiful spectacle here in a few months’ time. Meanwhile even the early spring flowers such as celandine were absent and I can’t really blame them – the wind these last few weeks has been bone-achingly cold. I guess the season will turn in its own time, and meanwhile the merest hint of warmth from the sun was very welcome. Our next stop was at Carnassarie Castle, an imposing 16th-century ruin that stands atop a hill overlooking Kilmartin Glen. More in my next post! A beautifully atmospheric post for any nature lover. Thank you! It’s a very special place, so full of natural beauty. 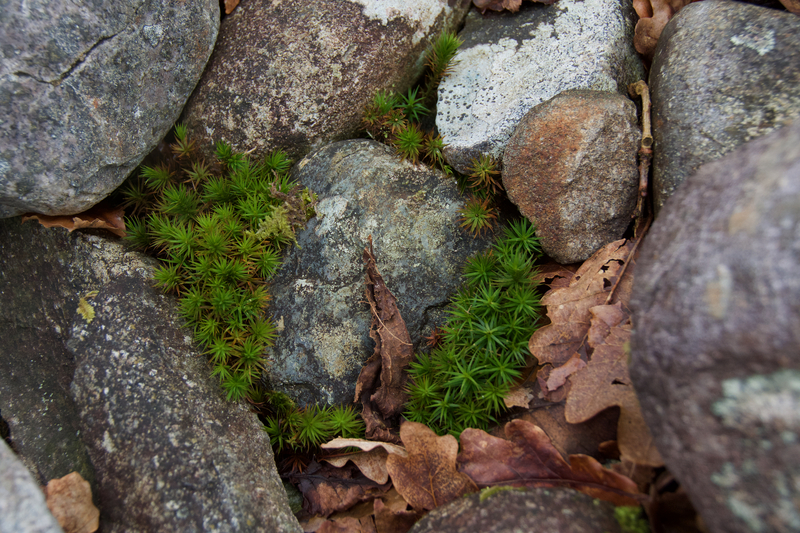 How I love rocks and stones, especially with lichen. Thanks for the lovely photos & text. What a wonderful place! 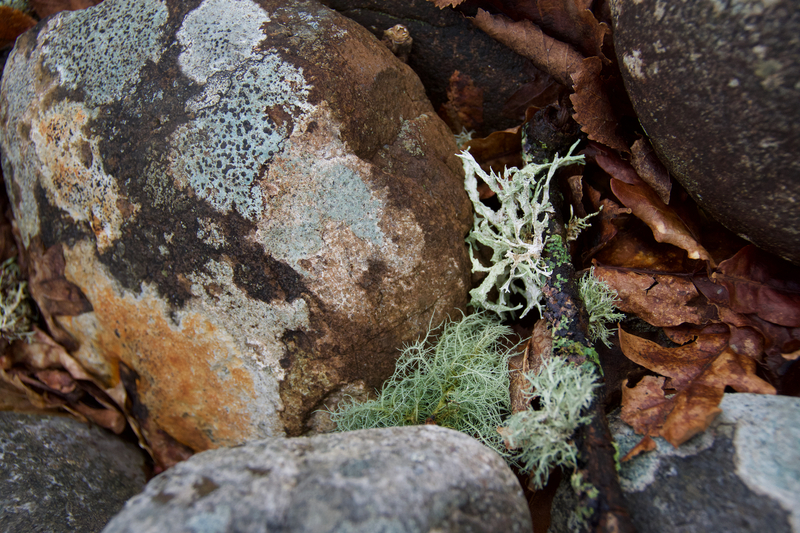 The lichen and moss are beautiful. And of course the rocks are, too. I’ve never heard of a clootie tree, you must explain! I’m glad to see you’re not buried in snow, the news made it sound so bad. Thanks for all the great photos. Thanks, Jo, I love learning about the old ways. Interesting website, too. By the way, I finished your book. Really enjoyed it. It’s a keeper, I’ll be going back to it, I’m sure. Oh that’s lovely! Thank you so much, Pat – good to hear! 🙂 And I’m glad you enjoyed reading about clootie wells. 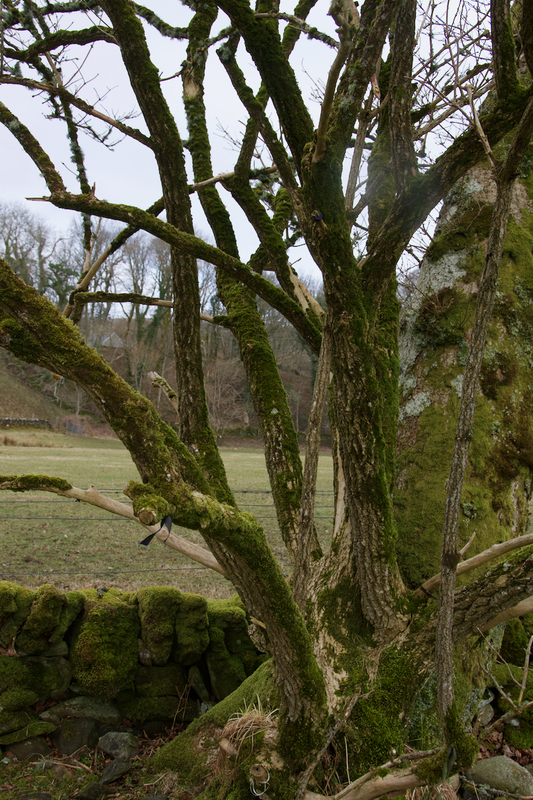 There’s an old ‘wishing tree’ fairly close by here that we must visit, with coins stuck into its bark. It’s a beautiful place and somehow I get a feeling of total calmness from it. That’s what I feel too – it has a really special atmosphere, hard to describe! One of my very favourite places. What is the nearest town so I can look up location on the map? Hi Jim, you could look up Oban which is about 25 miles to the north, or Lochgilphead, about 10 miles to the south. 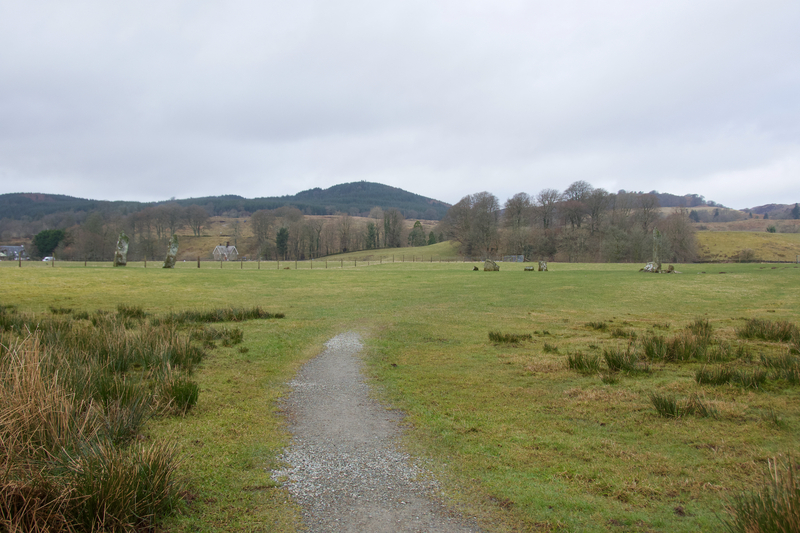 There’s a small village called Kilmartin at the heart of the glen. Haha, well it has to be done, David! 😀 Yes, we are very lucky. Since last Sunday we’ve also had another dose of the ‘beast from the east’ – no snow settling, but a bitter east wind. You’ve had it worse than us. I think when spring comes it will all blossom very suddenly! The mini beast was worse for us this time than THE Beast from the East. Dry, soft snow so will soon go. Thank you very much, Marie! We are certainly enjoying our new home. In awe of the views and the wildlife every day. (Red squirrels, too!) 😀 I shall be glad to see the back end of this beast from the east! 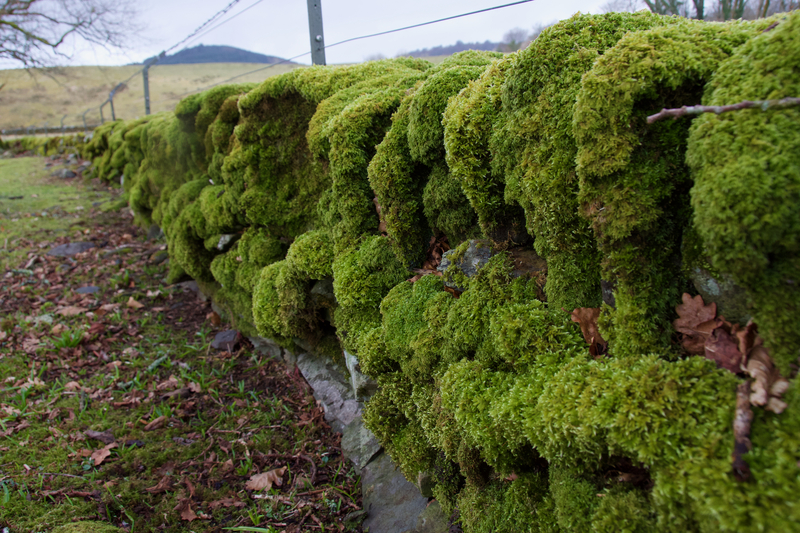 I love those luxuriant mosses, and what a beautiful spring day for a wander in a peaceful place. The muted colours in the hills in photos 4 and 5 made me think of summer being just around the corner. Altogether very refreshing, thank you. Thank you, Lorna! It was a perfect morning, all the more precious for being a brief respite in the easterly blast! I hope it’s now on the way out. There is definitely a hint in the air of what’s to come – the birds are singing this morning, and we have clear blue skies. 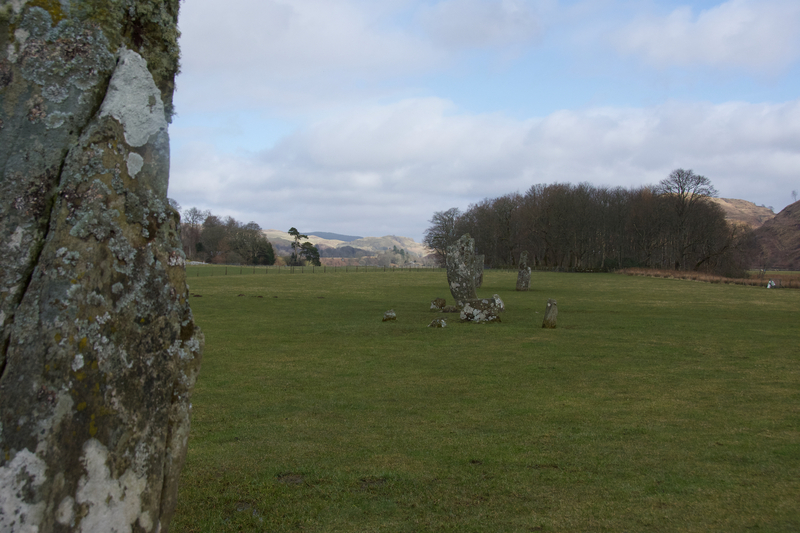 I love Kilmartin Glen. We were there last Saturday. 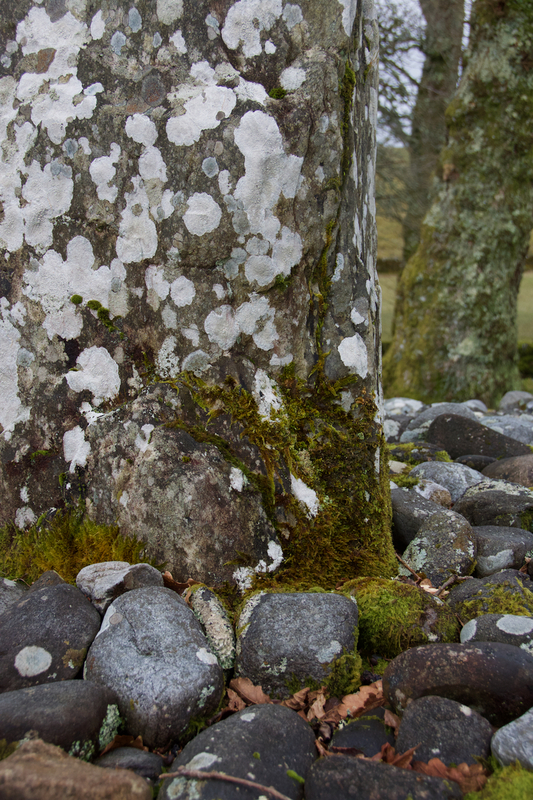 I can never resist the medieval grave slabs or Dunadd. So do I, Samantha! I must admit that I have yet to see the medieval grave slabs in the church so I’m very much looking forward to that. I agree that Dunadd is a fabulous place – always draws my eye when we’re passing, and impossible not to let your imagination run wild over it! 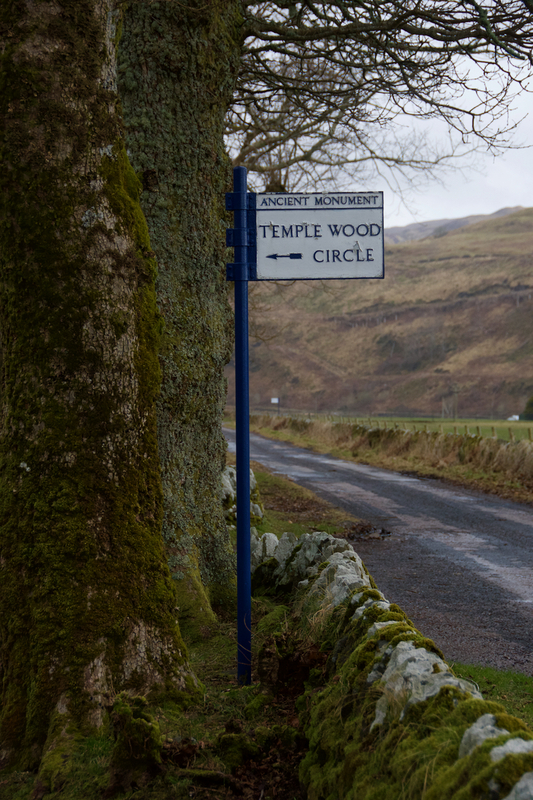 Beautiful place and beautiful piece: your words & photographs conjure the spirit of this jewel in the glen perfectly. I’m gazing out on a sparkling snow-covered vista down here but for those few moments my heart was in the Scottish Glens 🙂 A lovely start to the equinox week! Thank you very much, Sandra! I’m glad it brought a gentle whiff of Kilmartin Glen down to your snowy wastes! 😀 Hard to believe it’s nearly the equinox and I hope the weather is going to live up to the expectations of British Summer Time!